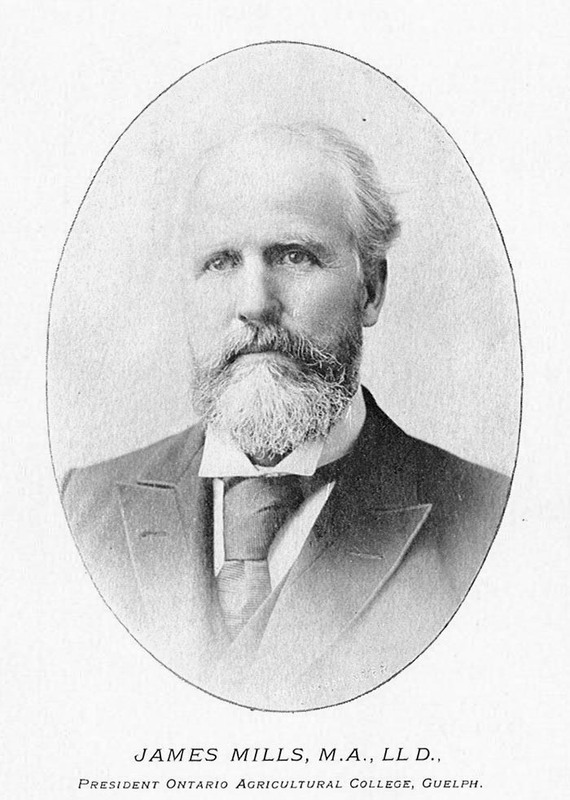 Comments: James Mills (Nee: ) | Canada | 1851-1900 | Comments: This portrait of Mr. James Mills appears as front piece illustration to The Canadian Horticulturist, vol.XVIII, no.11, November, 1895. There is also a description of him and his work on pages 383-387 of that volume. Mr. James Mills was born in the County of Simcoe, Ontario, Canada in 1840. His parents were of Northern Irish decent. As a young man he received an education in farm labor. At age 21 he lost his right arm in a threshing machine. He went on to attain multiple advanced degrees. He was a one time president of the Ontario Agricultural College in Guelph.